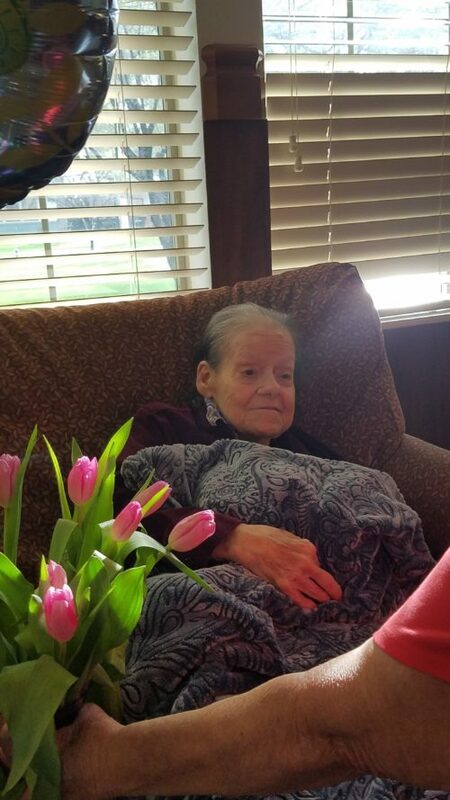 Virginia Faye Feller, age 83 of Phoenix, AZ, passed away on March 11, 2019, after a five year battle that started with a stroke and ended with dementia. Virginia, was born in Hugo, OK, February 15, 1936, to the late Travis and Sarah (Sweeper) Lambert. She attended Casa Grande High School. Shortly after high school she married Kenneth Lyle Feller. They were married for 60 year. Kenneth passed away in 2014. The were blessed with a son in 1964, Keith Lawrence Feller. Virginia, was survived by her three sisters, Laura Anders, Wynona Utterback, Bonnie Hamrick, and her two loves, Kyle Anders and Seth Duah. Memorial services will be held in Show Low, AZ and are private. In leu of flowers please make donation in Virginia name to Hospice of the Valley. So sorry for your loss! I’m sure she was very happy each time you visited with her.